Looking for a Nanny? Looking for a Job? Nannyplus Childcare Ltd may change this policy from time to time by updating this page. You should check this page occasionally to ensure that you are happy with any changes. This policy is effective from 24/05/18. Other information relevant to your application or registration with Nannyplus Childcare Ltd.
To periodically contact you with regard to the services for which you have registered. A cookie is a small file which asks permission to be placed on your computer's hard drive. Once you agree, the file is added and the cookie helps analyse web traffic or lets you know when you visit a particular site. Cookies allow our web applications to respond to you as an individual. The web application can tailor its operations to your needs, likes and dislikes, by gathering and remembering information about your preferences. This is particularly relevant to the job search function on our website. Overall, cookies help us provide you with a better website, by enabling us to monitor which pages you find useful and which you do not. A cookie in no way gives us access to your computer or any information about you. You can choose to accept or decline cookies. Most web browsers automatically accept cookies, but you can usually modify your browser setting to decline cookies if you prefer. This may however prevent you from taking full advantage of the website. If you choose to register online for the services offered by Nannyplus Childcare Ltd., personal details submitted will automatically be emailed to us and on receipt those details will be manually added to our internal office database. This database is securely protected by encryption and will only be accessed by employees of Nannyplus Childcare Ltd for the purposes of recruitment. Candidates who register for jobs on the website, agree to our storing their personal data, and at the interview stage, the sharing of their name and telephone number with future employers. If the candidate gets and accepts a job offer the future employer will receive all the personal data the candidate has submitted for their job application. We will keep a copy of all candidate's personal submitted data for a maximum of 10 years, after which time we will delete that data. If we place a candidate we will keep that data indefinitely, or until we are notified by the candidate that they have left that employment. If you wish us to delete that data earlier please notify us either in person, writing or by email, information for which can be found in the section 'Controlling your personal information', below. Clients, who register for our services on the website, agree to our storing their personal data, and at the interview stage, the sharing of their name and address with their potentially future child carer. Should the client agree to employing a candidate then that candidate will receive all the data the client has submitted to engage the Nannyplus Childcare Ltd services. If a client enquiry doesn't result in the employment of a candidate, we delete all their personal data after 6 months, apart from a copy of the letter we mail to the client at the start of the engagement of our services - which typically only includes their name and address. If we place a candidate with a client we will keep a copy of all that client's personal submitted data indefinitely, or until we are notified by the client that they no longer employ the use of a candidate supplied by Nannyplus Childcare Ltd. If you are not happy with this process please notify us either in person, writing or by email, information for which can be found in the section 'Controlling your personal information', below. If you choose to receive our email newsletter, the name and email address you submit to us will be sent to MailChimp who provide us with email marketing services. MailChimp are a third party data processor so your name and email address you submit with regard to the newsletter will not be stored within the Nannyplus Childcare Ltds. website’s own database or in any of our internal computer systems. Your email address will remain within MailChimp’s database for as long as we continue to use MailChimp’s services for email marketing or until you specifically request removal from the list. You can do this by unsubscribing using the unsubscribe links contained in any email newsletters that we send you or by requesting removal by emailing us at support@nannyplus.co.uk. When requesting removal via email, please send your name and email address to us using the email account that has been used to subscribe to the mailing list. Our website may contain links to enable you to visit other websites of interest. However, once you have used these links to leave our site, you should note that we do not have any control over that other website or its content. Therefore, we cannot be responsible for the protection and privacy of any information which you provide whilst visiting such sites as these are not governed by this privacy statement. If your privacy is a concern, you should exercise caution and look at the privacy statement applicable to the website in question. We will not sell, distribute or lease your personal information to third parties unless we have your permission or are required by law to do so. You may request details of personal information which we hold about you under the Data Protection Act 1998 and the EU General Data Protection Regulation 2018 (GDPR). If you would like a copy of the information held on you please write to Nannyplus Childcare Ltd., 9 Petersfield Gardens, Culcheth, Warrington. WA3 4BQ. If you believe that any information we are holding on you is incorrect, incomplete, or you wish for that personal data to be deleted please write to or email us as soon as possible, at the above address. We will respond to such requests as promptly as possible, however please note that deleting your personal data will mean we may not be able to provide you with the full range of Nannyplus Childcare Ltd. services for which you have previously registered. Nanny Plus was launched by Di Williams in 2001 to provide a truly different and personal childcare and housekeeping service for clients throughout the North-west including Cheshire, Merseyside, Wirral, Lancashire and Greater Manchester. As a member of the Chartered Institute of Personnel and Development, Di has enjoyed a career in HR at senior levels. As a working mum, Di fully understands the desire of parents to find excellence in childcare. 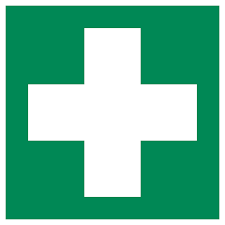 The next Ofsted Compliant first aid course based Cheadle, will run on Sat 24th Nov 18. This is a blended learning course that requires 2 to 4 hours online PC access prior to attending the course. Course specifically designed around childcare needs and targeted at nannies, parents and childminders. Highly recommended by over 350 nannies who have undertaken the course. £67.50. Call NOW on 07766290802, Spaces are limited.